Helicopter charter company Castle Air, which recently acquired Sovereign Business Jet, has launched an on-demand charter service offering seamless, coordinated interlining at London Biggin Hill Airport. The ‘go-now’ service is based on a successful formula created in Castle Air’s experienced helicopter charter business and is targeted at travelers who need to undertake flights at immediate or short notice. In a typical scenario, clients can be collected from home or office by helicopter and flown to Biggin Hill where the Castle Air ops team have set up interline arrangements for immediate access to a wide range of based business jets. 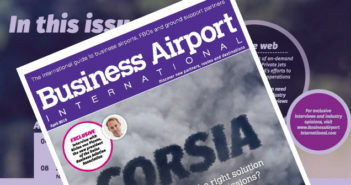 Ross Bunyard, MD at Castle Air, said that the combination of fixed and rotary wing offers a genuinely new product to the business travel market: “We know the broker community in particular will value offering their clients access to our ‘go now’ service. Busy people often require air travel urgently at short notice and London Biggin Hill is the ideal airport for a smooth interline sequence, fully controlled by our own staff.